Command is an importer and distributor of specialists products for the Digital Signage Industry, AV Industry and IT Industry. We also supply professional LCD, Plasma and Projection systems. For quick links to specific products, please select the items below. Next Generation advanced easy-to-use digital signage software used world-wide. Conference Room, Meeting Room and Foyer Display management system. Sothink content creation suites provide a quick and easy way to create stunning animated graphics to make the most from your Digital Signage System. Integrate SMS messaging and social media with your digital signage. Options include: Industrial Grade, Rack Mountable, Mini Computers, Digital Signage Computers, Multiple Video Output. LCD Displays with build in media player - solid state - Sizes from 5" to 22". Audio only media players - updated via a network. Quality LCD Displays ranging from 32" to 82". Add the WOW factor to digital signage. 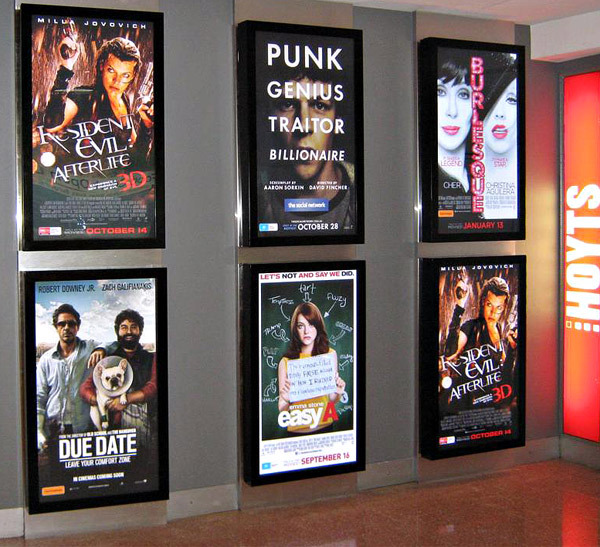 On-glass projection film provides the greatest viewing time of any digital signage solution. Quality Projectors suitable for digital signage. Up to 20,000 Hour Lamp Life. Projectors for the business person. Fits in to the briefcase and provides high brightness and long life. Extend your video signals from your computer, 300m to your screen. High Definition Wireless Video extender also avaialble. Split your Video and Audio signals from your computer to multiple screens. Wayfinding, Interactive Kiosks, Touch Screens, Interactive Film, Touch Tables. Kiosks and Display stands. Standard and Interactive solutions available.